Tomorrow is my son’s birthday. David Glasser, a Phoenix Police Officer, was killed in the line of duty on May 19, 2016. Tomorrow he would have been 37 years-old. He’s not here to celebrate with us but I am still celebrating. I am thankful for every day that he was on this earth. The common-held idea that good people die young is very appropriate in this situation. Davey was one of the good guys and its hard to ignore the big hole his death has left in my life. I am frequently reminded of the painful gap between what is and what should be. His future was something I really looked forward to. His dreams became my dreams for him as he grew and matured into a man with integrity who cared about the people in his community and city. I will never forget, on his first day of life, there was an Air Quality Alert going on for the city of Phoenix. As I held my newborn son in my arms, I looked out at the foggy sky through my hospital window and wondered if it was wise it was to bring a child into a world where the air we breathe is polluted. Since then, I have found that there are far worse things than air pollution. The evil that lives in the hearts of people who prowl our neighborhoods is what is really dangerous. The anger and rebellion and lack of respect that defines the lives of some of the people driving down our streets is much more lethal than the air. Lately we’ve been watching this anger and evil explode in mass shootings of innocent people. 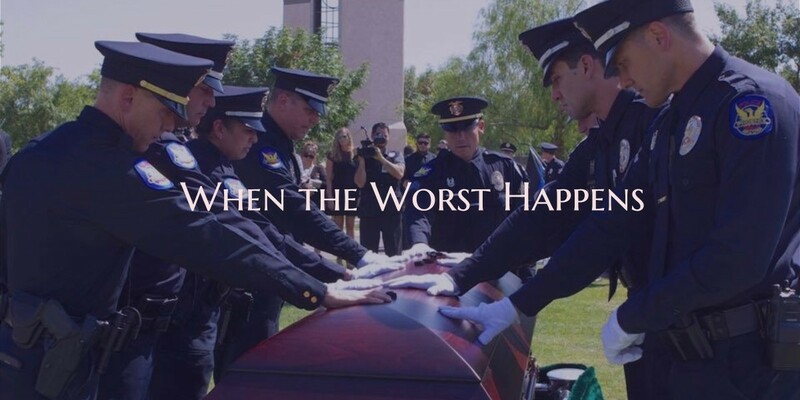 Unfortunately, it will only get worse until our elected city officials and the people of our city give our law enforcement officers the respect they deserve, staff our law enforcement agencies correctly, pay our law enforcement officers well and give the officers the tools they need to do their jobs right. Why haven’t we learned this lesson yet? I couldn’t have known 37 years ago that my son would decide to part of the solution to the problems in our culture and in our city. Davey loved being a Police Officer because it put him right up close and personal with the people choosing evil and unsafe behaviors. And it put good people behind his gun and behind his back, away from the danger. I’m proud of being a part of the Blue Family which stands for courage, honor and sacrifice. Davey stood tall for all three. Happy Birthday tomorrow, Davey! Miss you.